Lying in the northwestern part of the city and covering around 20 km2 of the total city’s area is January’s featured district – Sarrià-Sant Gervasi. It is one of the largest districts in Barcelona and even though quite near the center (considering the easy access to the public transport), it offers a calm getaway from all the hustle & bustle there. 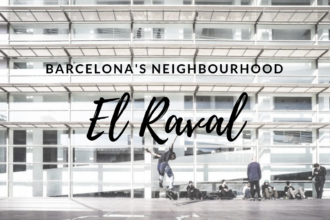 Even though in the past El Raval could be considered the “sketchy” area to avoid, it has been stepping up its’ game and has become a trendy cultural center. And yes, you might experience a bit more “raw” lifestyle than in the rest of Barcelona, but I suggest looking at it simply as a unique edgy vibe of the area, and it might surprise you. In a good way of course! 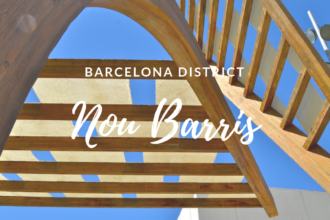 Nou Barris, or “nine neighbourhoods” in Catalan, is the most northern part of Barcelona. Obviously, the district originally consisted of nine neighbourhoods. Due to the development of the city, there are actually 13 of them now, and the district covers an area of 8.04 km2, but the original name still stands.